Ubisoft’s seventh installment in the Anno franchise takes place at the dawn of the industrial age in the 19th century. 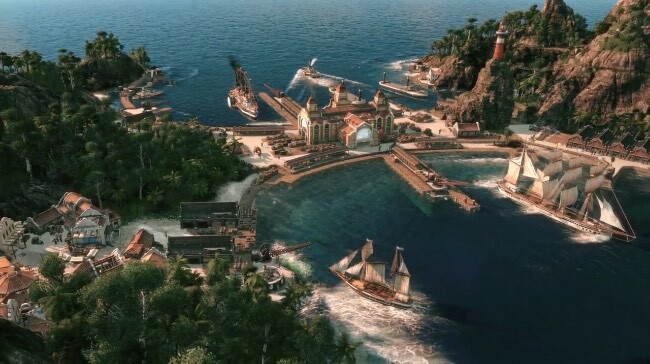 Anno 1800 returns to the city-building and ocean warfare real-time strategy gameplay of the earlier games and features randomly generated maps, AI opponents who build on the same map and shippable trade goods. A big new feature in Anno 1800 is the Blueprint mode, which allows players to fully plan their city by placing blueprints of buildings where they want to build them. Also, the attractiveness of your city will be a big factor in attracting tourists – so you’ll want to keep the noise and air pollution down, while doing your best to highlight the natural land, organizing local festivities and creating attractive buildings. After the last two futuristic games it’s nice to see the Anno games returning to a historical setting and the new features (Blueprint mode especially) are very welcome. The Open Beta will be playable until April 14th and is downloadable via the Epic Games Store, so grab it now and start building your empire!